If you ever decide to pose a challenge to Twitter, be prepared to follow through. Clearly, Hall didn’t expect her 300 Twitter followers to follow through. Her tweet soon, however, went viral collecting more than 13K+ retweets and 21K+ likes. 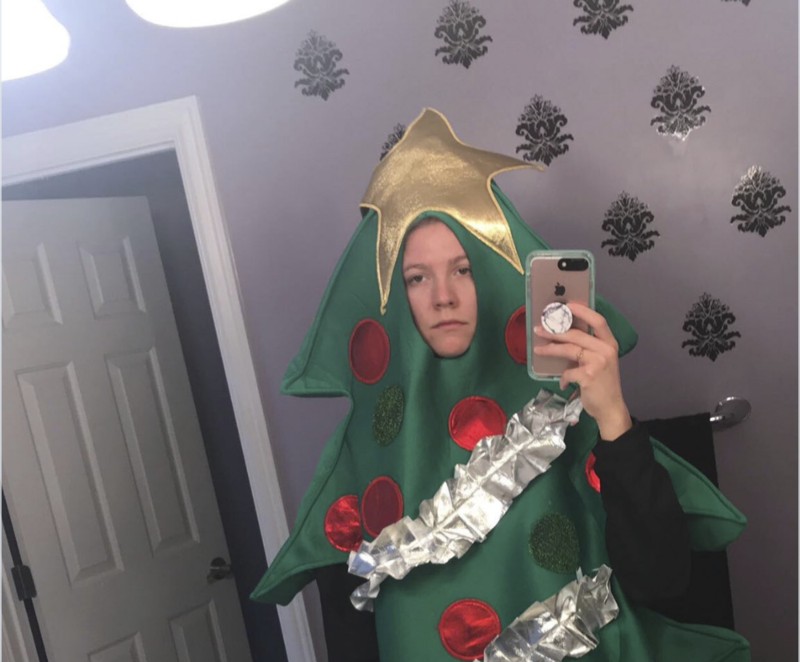 Upon realizing she would have to wear the Christmas tree, Hall tweeted, “Guys I really don’t want to do this.” Nonetheless, Hall followed through with her promise and wore the costume to school. Luckily, Hall only has one more week of classes to get through with this costume. Wishing you the best of luck on finals, Kelsey! 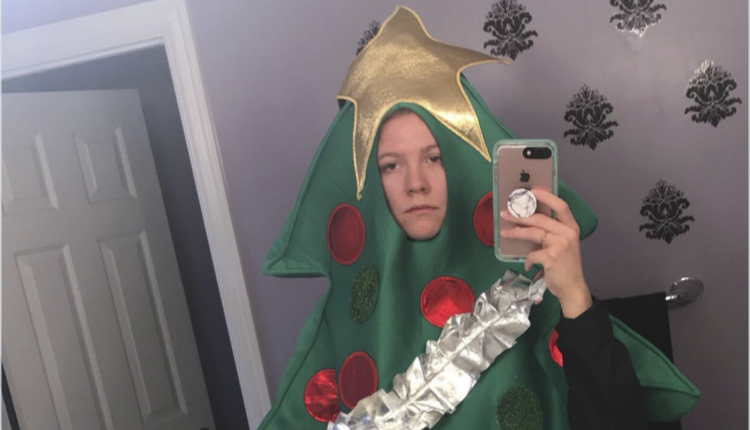 Would you dare wear this costume to school? Let us know in the comments or at @WhatsTrending on Twitter!